French painter. All of his dated pictures are from the second part of his career, and indicate by their style that he was deeply influenced by his contemporary Louise Moillon, though his pictures are usually a little less precise and crisp than that celebrated painter s work. 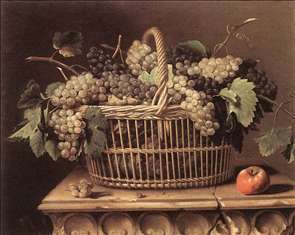 Three of his pictures were recorded in the seventeenth century in the collection of the Archduke Leopold Wilhelm at Brussels. Dupuys was received into the French Academy in Paris in 1663. 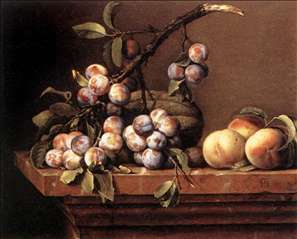 See more details about "Plums and Peaches on a Table"
See more details about "Basket of Grapes"